The HerKentucky Horrible, No-Good, Very Bad Day Giveaway! Did you ever have a really, really bad day? Well, of course, everyone has. Today, I was particularly fed up with the way my day was going. My parking lot view at 7:30 this morning looked like this. When you bill it as an Open MRI, that doesn't mean "Make it Visible from the Parking Lot." Then, after hours doing no-fun-at-all doctor's office stuff, I got home and found that my wireless router was down. My brilliant pop culture think piece on Jennifer Lawrence was just going to have to wait. If I kept the door to my back porch open, I could just barely pick up a little wifi from the law firm down the street. (I love y'all who keep unsecured wifi, btw!) Those aren't exactly optimal conditions for someone who works in online channels, to say the least. I was having, as the old kids' book said, a horrible, no-good, very bad day. There was even a severe thunderstorm warning, complete with a hail advisory. Then, I sat down to fill orders for HerKentucky T-shirts and I realized that this site and y'all -- our readers and writers -- are the cure for a bad day. I also noticed that I'd never heard back from the winners of our September drawings for Shop Local Kentucky Swag. So, let's have a little giveaway to make the day better. My internet is back up, the storm advisory has expired, and we all love Kentucky. Besides, nothing makes a day better than giving a present to somebody you like. 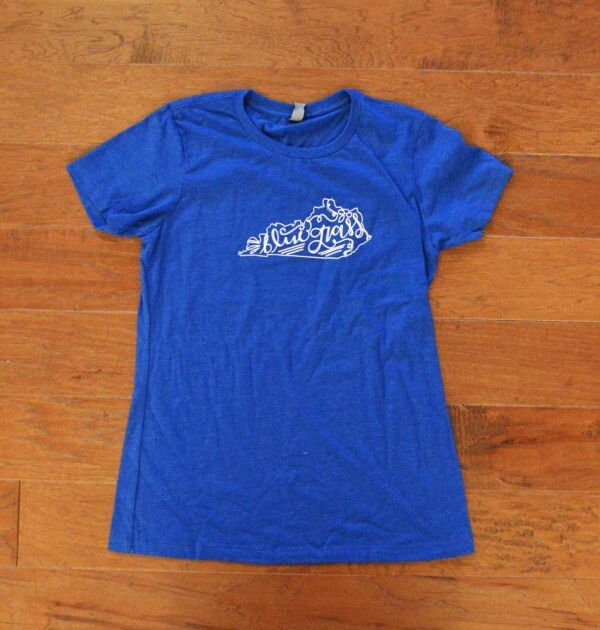 Enter below to win a Shop Local Kentucky T-shirt or Reclaimed Bourbon Barrel Kentucky Necklace. You have until Saturday at midnight EDT to win. Good luck, and I hope you're having a better day than I am!